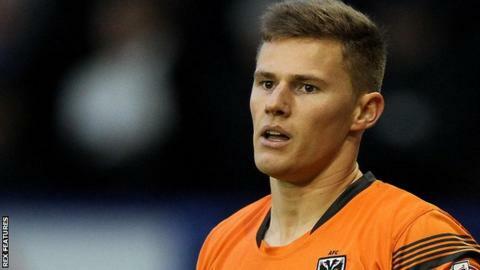 AFC Wimbledon have extended the loan of goalkeeper Ben Wilson from Cardiff City until Sunday, 3 January. Wilson, 23, joined the Bluebirds following his release in July 2014 by Sunderland and has made one senior appearance in the League Cup. He joined the Dons last month to gain first-team opportunities and has played five games with James Shea recovering from a groin injury. "It was an obvious one to do with Ben," boss Neal Ardley told the club website. "Cardiff have been great and let him stay until January."